The photo documentation by Franz Bauer is available here. 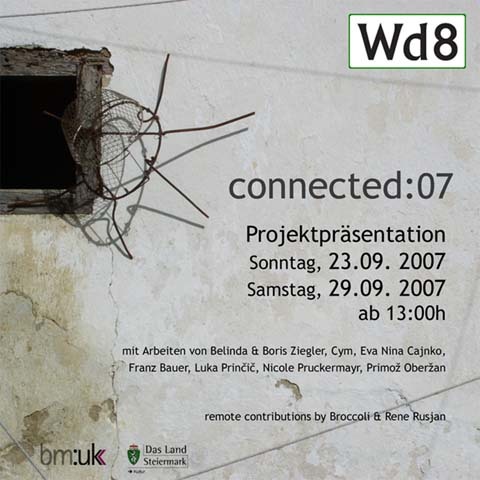 On Saturday, September 29, 2007, the project 'connected:07' will be presented in Wd8. From 13:00h till 17:00h Wd8 will open its doors for anyone interested. There will be coffee, cake and a lot to see, hear and explore. Materials and equipment for the projects have been sponsored by the Dorfmuseum Altenmarkt, Fahrradhändler Norbert Knaus in Ottendorf and Used-PC in Ilz.